After using census reports and cherry-picked facts, a resident of Cobb County, Ga., recently surpassed the record held by Roseanne Barr and Rachel Dolezal on the Becky-ometer, a scientific tool used to measure the caucasity of white women. 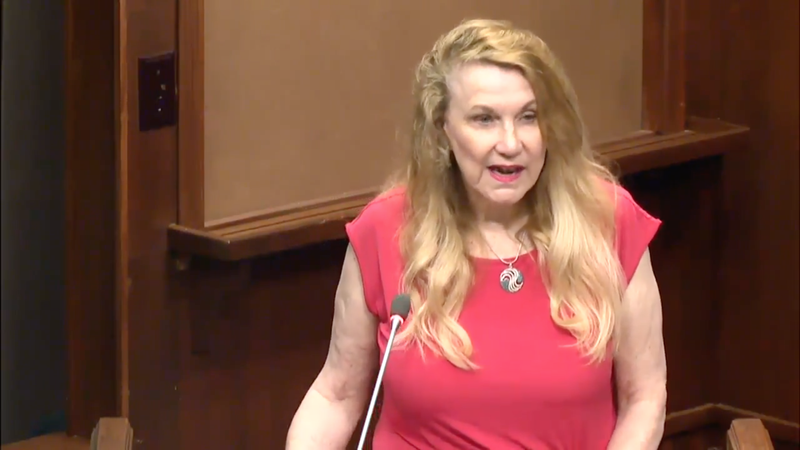 In a June 12 meeting of the Cobb County Commission, East Cobb County resident Mary Stevens used the time set aside for public comment to enter the debate on whether Confederate Gen. Joseph Johnston’s name should be removed from a local park. After passing around a handout showing the population increase of free blacks in the South from 1790 to 1860, Stevens told the commission why the census information was relevant. Instead of explaining that free blacks were not forbidden from procreating, or informing the commission that slaves were sometimes freed by their masters or allowed to purchase their freedom, Stevens claimed that the population statistics proved—contrary to what most people would have you believe—that blacks didn’t mind slavery that much. And despite the fact that the Confederate Army forbade blacks from joining the army as soldiers, Stevens also showed the commission a picture of a reunion of blacks who’d served in the Confederate Army as cooks, laborers and chaplains. She insisted the photo was proof that blacks supported the Confederacy. But the part that broke the world record of Beckery was the segment when Grandma Barbie explained that the Civil War had had nothing to do with slavery. Having heard enough, Cobb County District 4 Commissioner Lisa Cupid calmly asked Jesus to hold her mule before she exhaled the same sigh Drake did at the beginning of “Duppy Freestyle” and then calmly went in on Stevens. I was deeply offended by some of the statements that were made this morning by the previous speaker. I am not here to refute the fact that there may have been slaves other than persons who were African American, but there is numerous documentation and historical evidence that [the] chattel slavery that blacks were subject to in America was not comparable to that of any other race. And I also want to address the point that had it been so bad for slaves they would have left the South. I find that statement equally offensive. And this is part of the reason why, again, there has been a move toward finding a neutral name for the site. I can only imagine for those that live in the area, the level of offense they might take beyond the level of offense that I just took. I appreciate varying perspective, but this is a sensitive issue which I don’t think was dealt with very sensitively by the previous speaker.